I expected it to be cold in Banff, but it was bitterly cold! 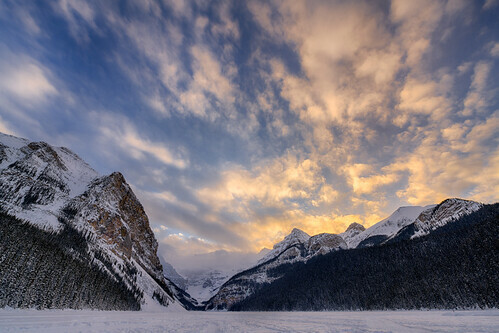 This sunset was enough to convince us to go out onto the ice on Lake Louise to get some pictures, but the orange glow wasn’t enough to warm us up! 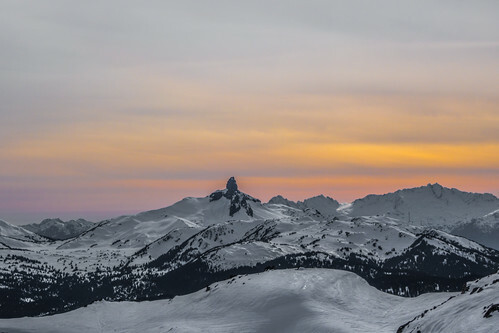 The skiing at Whistler was just OK this year, but the views were excellent!